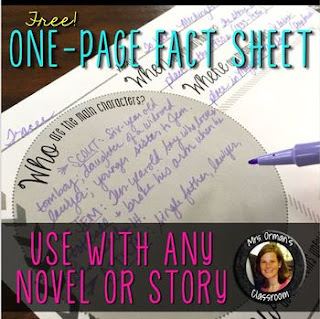 Use this free one-pager with any novel or short story. The prompts allow students to analyze the characters, main events, setting, point of view and perspective, narration, plot, and character motivations. I included two handouts (one with larger print and fewer prompts) to allow for differentiation. This resource is NOT editable, but an editable version will be added to my ALL of my READING RESOURCES MEGA BUNDLE.